XXXVII, 169 p., 9 ill., 17,6 x 24,4 cm. This volume will contain Valentine Weigel’s late works, including ›Von Vergebung der Sünden‹ (On the Forgiveness of Sins), dated 1582 and the ›Dialogus de christianismo‹, written in 1584, in chronological order. 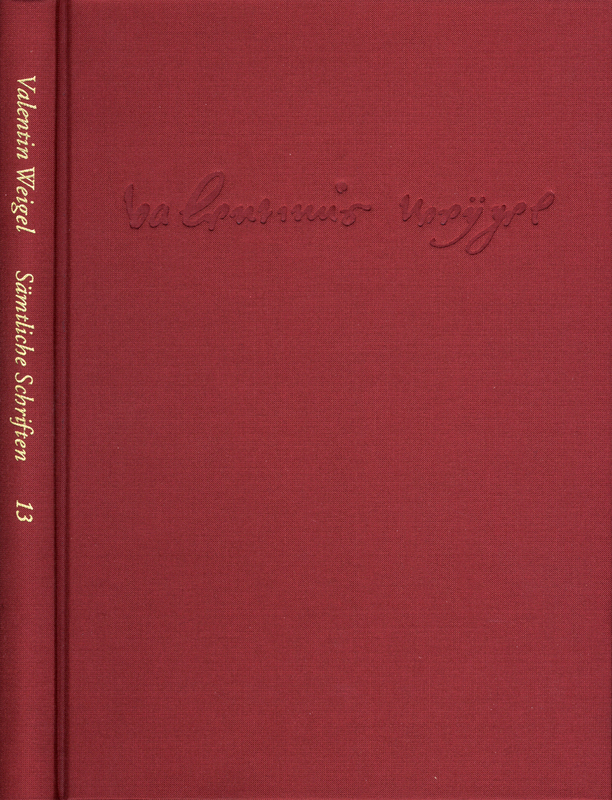 Weigel‘s most demanding literary work, the ›Dialogus‹, in which he recapitulates the theological quarrels about the implementation of the »Formula of Concord«, using the literary form of a debate, and in retrospect tries to justify the signature he gave contrary to his own beliefs, is a conclusion worthy of the new edition of his works.